For quick and easy stripping of most common coaxial cable types with diameters from 4.8 to 7.5mm. e.g. TV antenna cables, RG58 / RG59, PVC-Flex 3x0, 75mm2. Precision set stage 1 and stage 2 cutters allow for accurate and easy cable preparation. Removes outer insulation without damaging the inner metal shield. Soft grip zones provide improved comfort and secure grip. Integrated length scale inside. 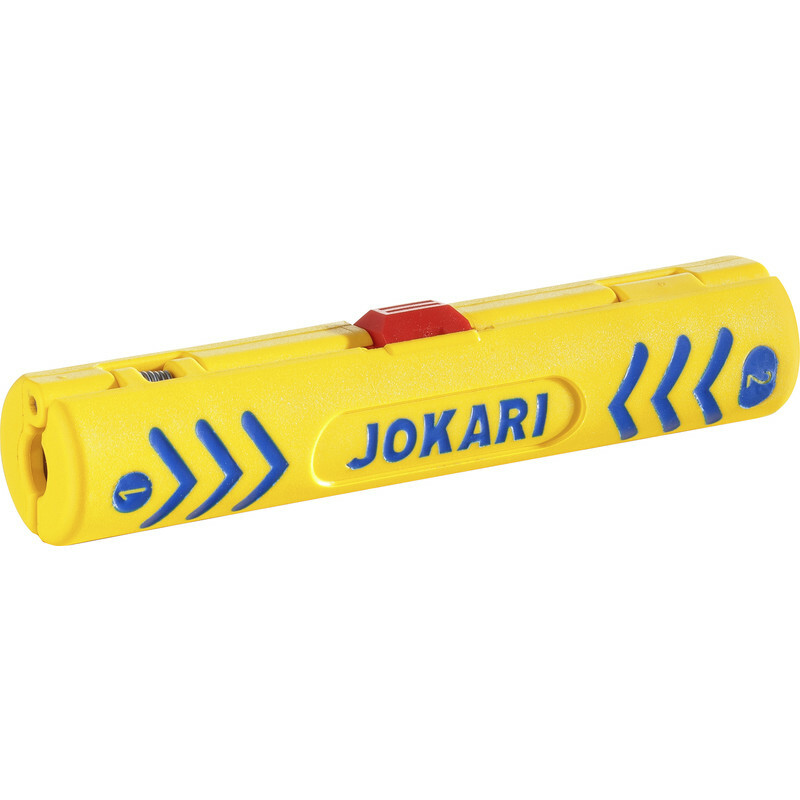 Jokari Secura Coax Wire Stripper is rated 4.5 out of 5 by 2. Rated 5 out of 5 by Romfordrelic from Simple to use Much 'simpler' than my last one (different make! ), seems to do a good job, so far.